In 2011 Alexandra graduated with MS in Cartography from Lomonosov Moscow State University. Alexandra received her Ph.D. in Geographical sciences from University of Maryland in May 2015. 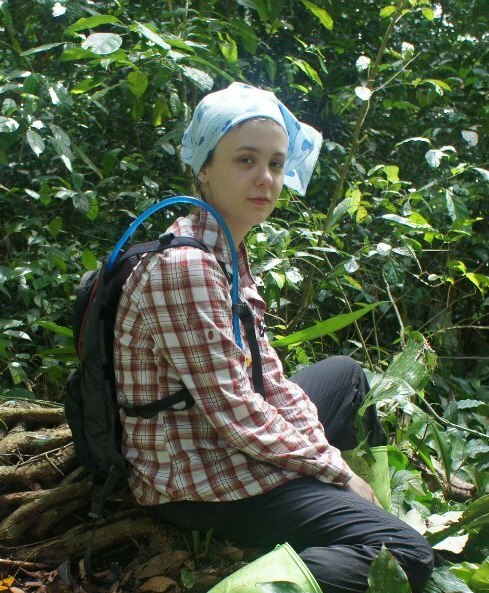 Her dissertation research was focused on characterizing forest disturbance dynamics in the humid tropics using optical and Lidar remotely sensed data sets. Alexandra is currently a post-doctoral resarcher, working on satellite-based forest cover, disturbance history and intactness mapping, and sample-based methods of forest carbon loss quantification. Curtis, P.B., Slay, C.M., Harris, N.L., Tyukavina, A., Hansen, M.C. (2018) Classifying drivers of global forest loss. Science 361 (6407), 1108-1111.
complex of the Democratic Republic of Congo. Environmental Research Letters, 12, 104001.